Summer Camp Registration is now online! Join us this year in our new Studio! Our summer camps are fun, safe and educational. Campers express themselves through creative practice and outdoor activities. 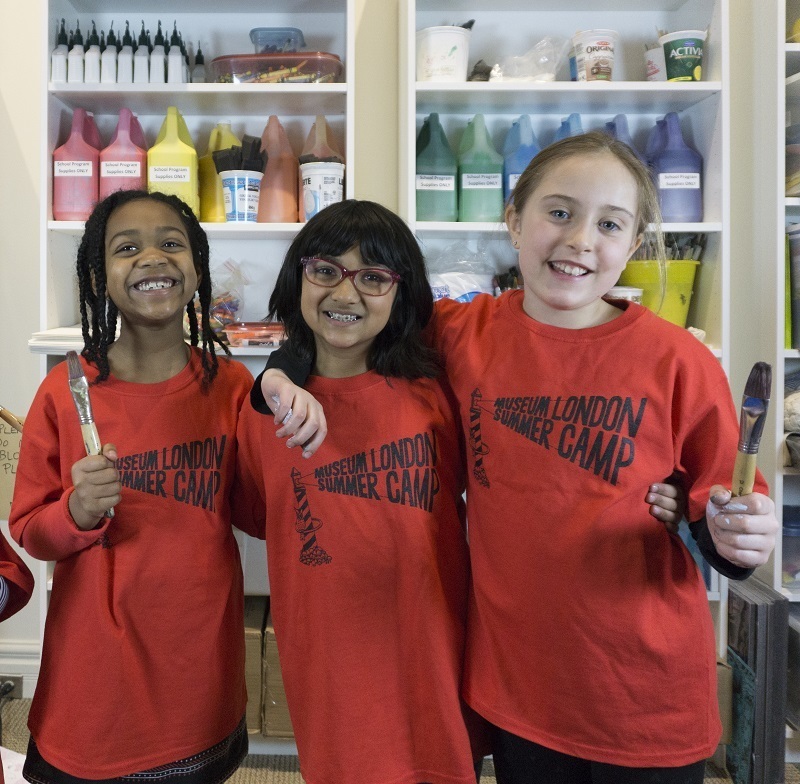 The combination of our world class art collection and rich natural surroundings allows Museum London to offer campers a complete summer experience, combining outdoor recreation with art-making activities. As a member of HIGH FIVE, we’re committed to excellence in children’s recreational programming. Camps include exhibition tours, demonstrations and hands-on activities. Recreational activities include hikes, games, and trips to the park and splash pad. Cost: $250 for 5-day camps, $200 for 4-day camps. July 2 - 5 (4 day) Prints Charming Learn relief, linocut, and screen printing techniques in our printmaking camp. July 8 - 12 Over the Moon: Art Lab The science of art goes out of this world with galaxy slime, salt dough aliens, and shaving cream nebulae painting. July 15 - 19 Masterpiece Painting Paint and sculpt, inspired by the art movements of the past. Make your own mega-masterpiece for our end of week show. July 22 - 26 Ready, Set, Pow! It's comic camp! Write, pencil, and ink your comic book. Explore zine making and bookbinding to host our own comic fair. July 22 - 26 In the Studio: Teen Camp. Teens from 13 to 17 years will explore painting, sculpture, mixed media, and printmaking to find the right medium to express themselves along with learning about local arts and culture. Click HERE to register for this Teen Camp. July 29 - Aug 2 Go Green Spend time outdoors plein air painting, and crafting with natural materials. Create recycled art sculptures taking the 3Rs to the next level. Aug 6 - 9 (4 day) Wild Things 3D Get Sculpting! Learn about sea, desert, and rainforest animals. Explore papier-mache, plasticine, and other sculpting techniques to construct your critters. Aug 12 - 16 Storybook Garden Make heroes, beast, and imaginary lands jump off the page! Learn about story structure, bookbinding and paper making to create your own journals and books. Aug 19 - 23 Curtain Call Theatre camp is back! Produce your own play; write a script, sew costumes pieces, paint backgrounds, and make props for our end-of-week show.